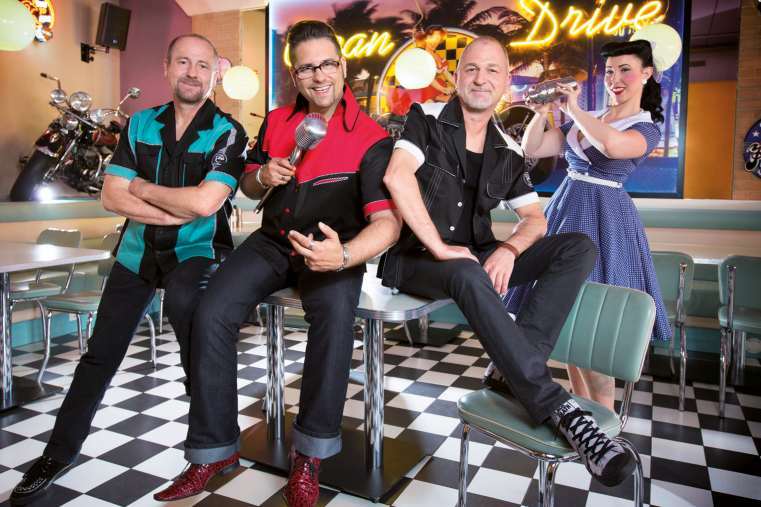 With their debut album “Shake It Up”, the Austrian top rock 'n' roll show band "The Shakin ' Cadillacs” shakes and rattles the listeners and you simply have to join them in their musical journey to the past to get the ball rolling. 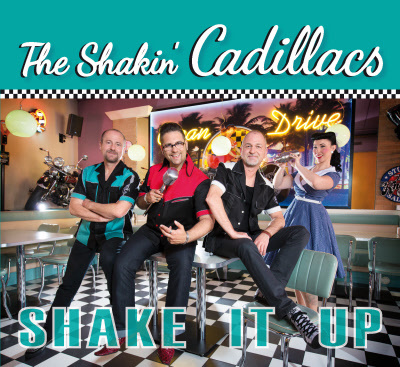 “The Shakin ' Cadillacs” offer a special experience with every live show and this feeling is also conveyed on this CD. Gerhard Krobath provides his authentic style on drums for " Rockin ' Beat ' and Reinhard Mautner alias " Mr. Bass Man " gets the grooves really rolling. Marinos Kurda captures the audience acting the "piano acrobat" using his feet and hands on the keyboard, but also fills his role as a "finger acrobat" in the sound studio. Beyond that, he gives a very special, personal touch to the sound of "The Shakin' Cadillacs" with his distinctive, soft and deep voice. The three guys who have been "on tour" in this formation since 2014, invited the best of the Austrian music scene into their studio to realize this musical cream pie and to give the sound the ideal finish - the result is stunningly authentic, with perfectly used modern elements to please the ears of their listener. In addition, they enclosed some (musical) surprises, which have never been released before. 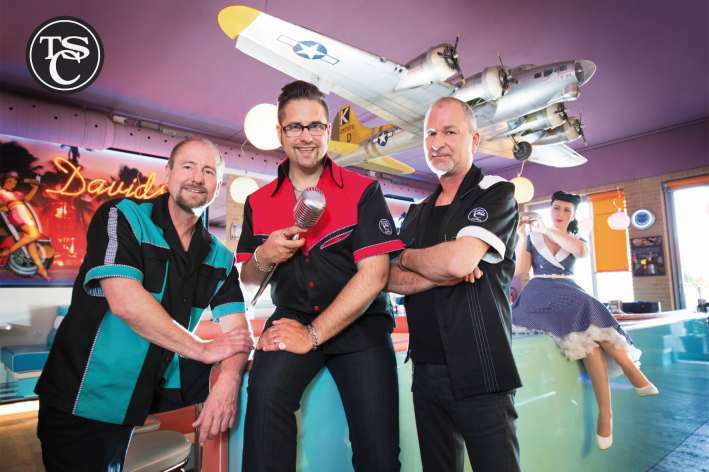 "The Shakin ' Cadillacs " guarantee a genuine 50ies and 60ies style music, presented in a fresh, new way - a real ear candy and a must for fans of rock' n 'roll and people who just love good music.